View More In Mexican Seasoning. Mrs. Dash provides better for you meal solutions for easy cooking that your whole family will love. We've created Mrs. Dash for our consumers concerned about lowering their sodium consumption, but also for those who just want to add an all-natural burst of flavor to their food. Food should taste good and be good for you, never miss the salt with Mrs. Dash. All our Mrs. 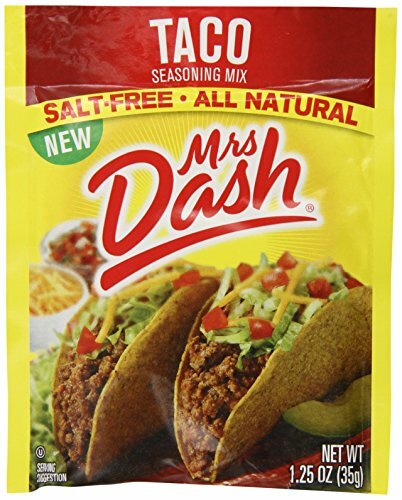 Dash seasoning products are completely salt free and contain no msg. There's no need to sacrifice real flavor, or the taste you expect, when you cut out the salt. Home chefs everywhere love our unique high quality salt free seasoning. Together we can change food forever. If you have any questions about this product by Mrs. Dash, contact us by completing and submitting the form below. If you are looking for a specif part number, please include it with your message. Bolner's Fiesta Extra Fancy "Texas TNT" Ground Jalapeno Pepper Powder, 16 Oz.